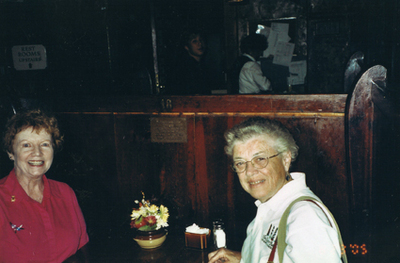 Jeanne Palmer and Margaret Delany sitting at a table at the Union Oyster House in Boston, MA. Dark interior, image taken with a flash. Jeanne Palmer is wearing a red shirt and Margaret Delany a white shirt.